In every town, I try to locate interesting diners. Diners are an American tradition, seen in many Hollywood movies and representative of the community spirit often found in the States. Locals gather to eat cheap and tasty food in a cozy setting, catch up on local news and gossip and spend time with friends. 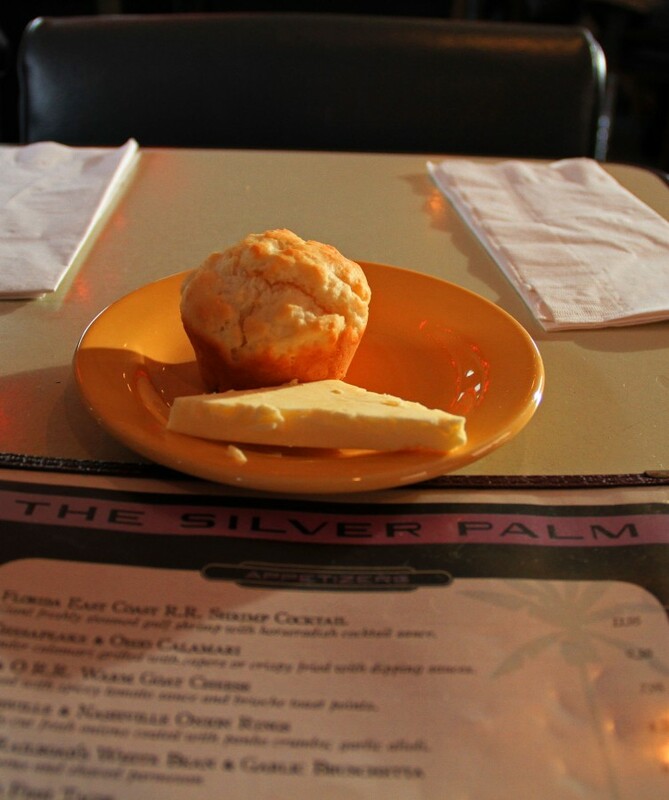 Over the weekend in Chicago, I found a really interesting one called "The Silver Palm." 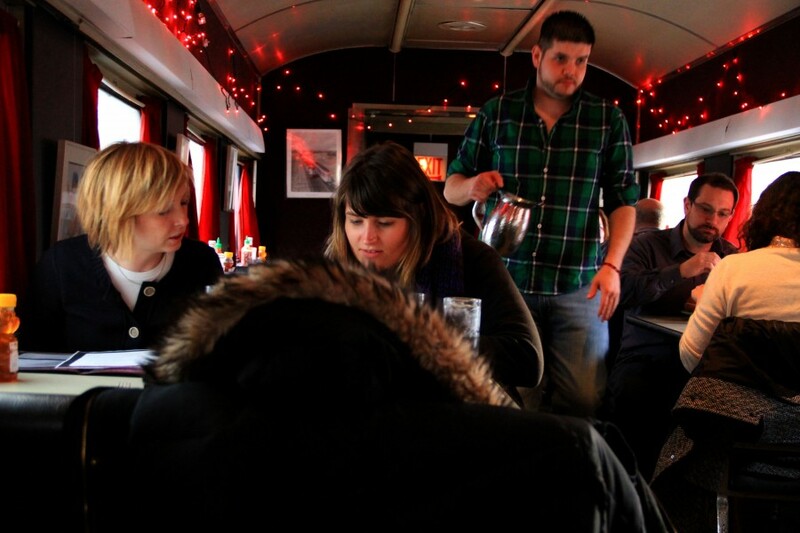 As you can see, the diner is an actual train car. 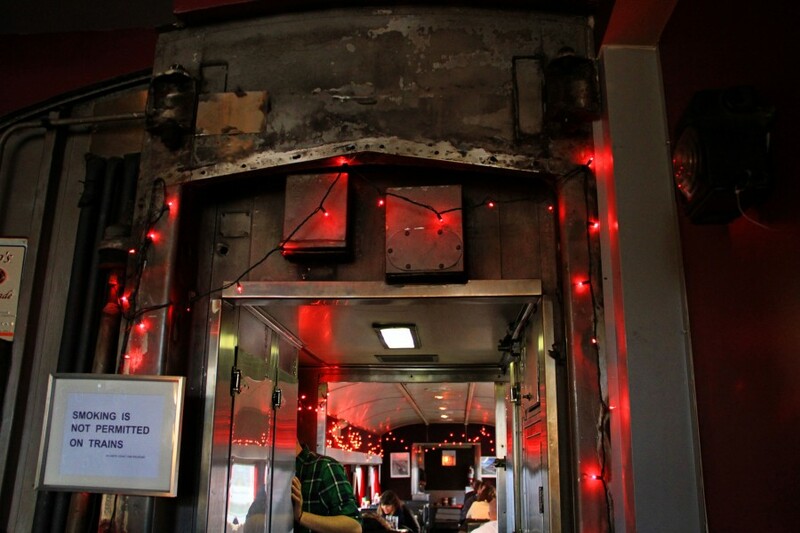 The diner opened in 2003 and is named after an Amtrak passenger train originally running the route from Miami to Tampa, Florida. 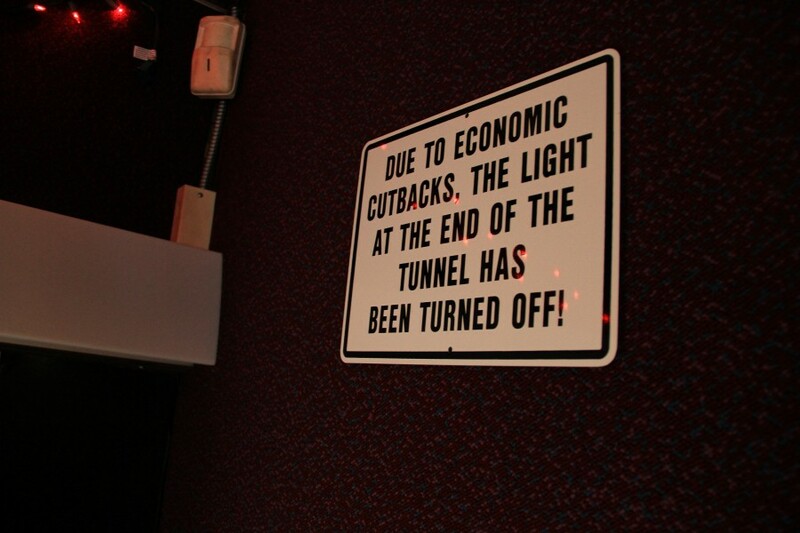 The route was discontinued in 1985 as a result of Florida budgetary cuts. 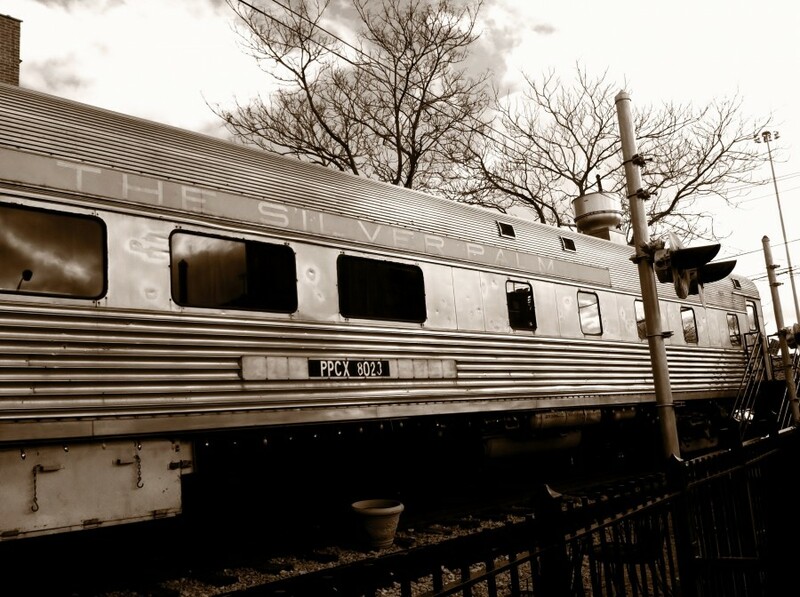 However, the Silver Palm was reborn in 1996 running a longer route from Miami to New York City. Amtrak changed the name of the train in 2002 and it's now called "Palmetto." 1. 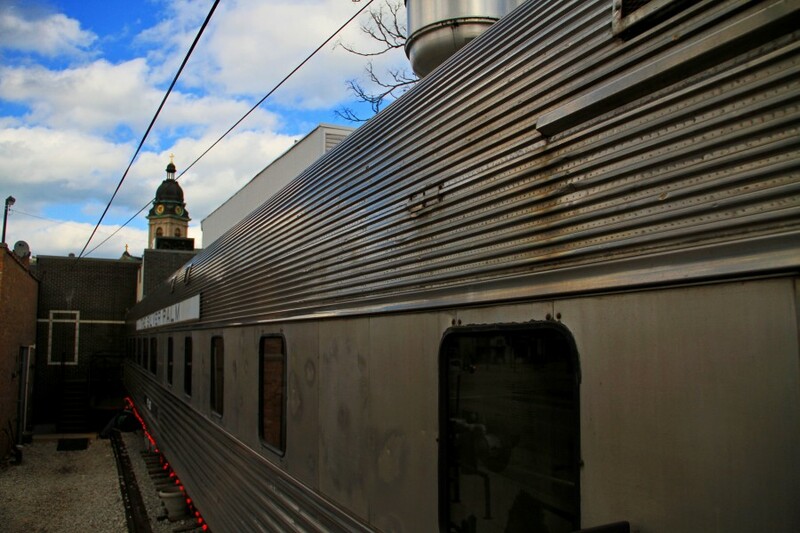 The diner is located about 15 minutes outside Chicago city center, very close to the Ukrainian Village. I visited this ethnic neighborhood and will write a separate report about it, but you can see a cathedral in the distant background. 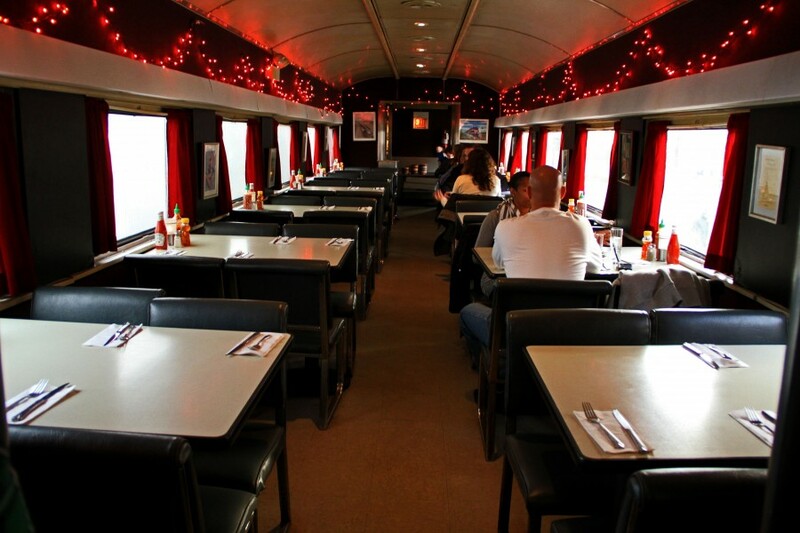 The train car was purchased from the Monad Railway Equipment Company in California and is an actual 1947 dining car, serving in the same capacity as it did on the original train. The owner battled the City of Chicago to get permits to use the car as a dining facility. After a lengthy battle, the Board of Appeals approved it and a special contractor was hired to create the rail foundation and crossing signals. By the way, I've never taken a long journey on a passenger train in the States or anywhere else. Maybe next time I visit Russia I'll go on a train journey. Sure to be an interesting experience. 2. 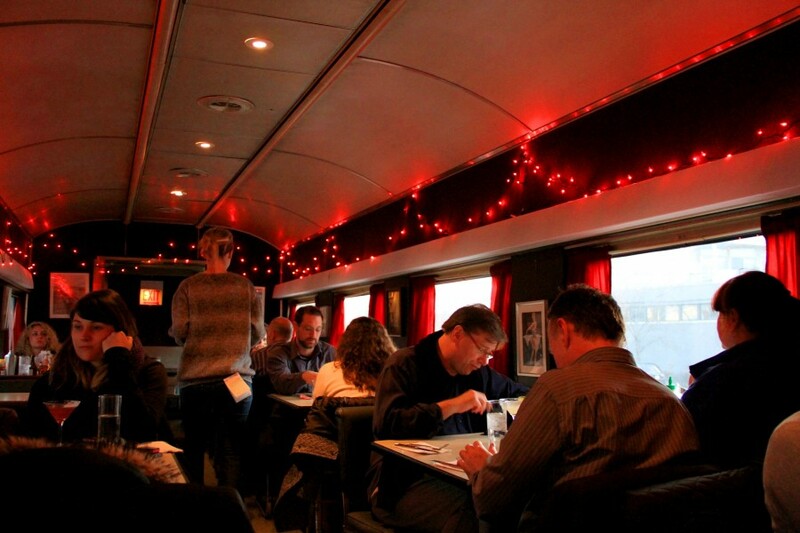 When you first enter the diner you are immediately directed to the dining car. 3. 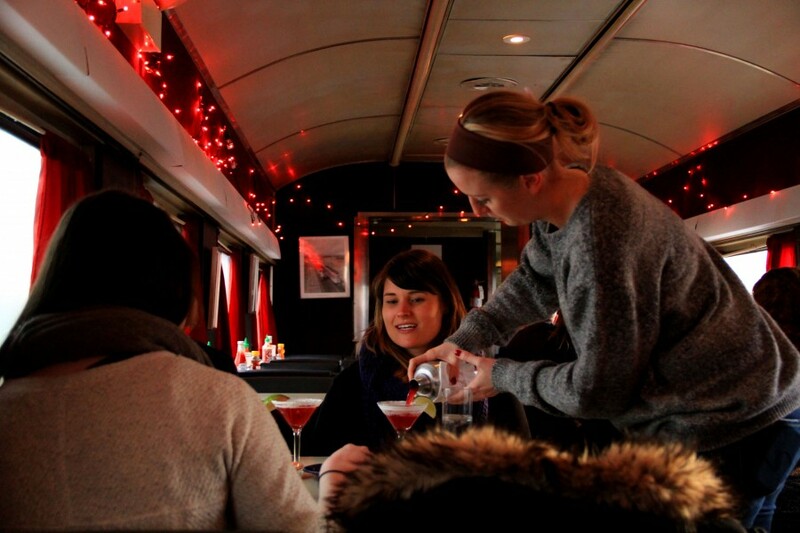 A separate and modern bar is attached to the train car for those who want more space. 4. 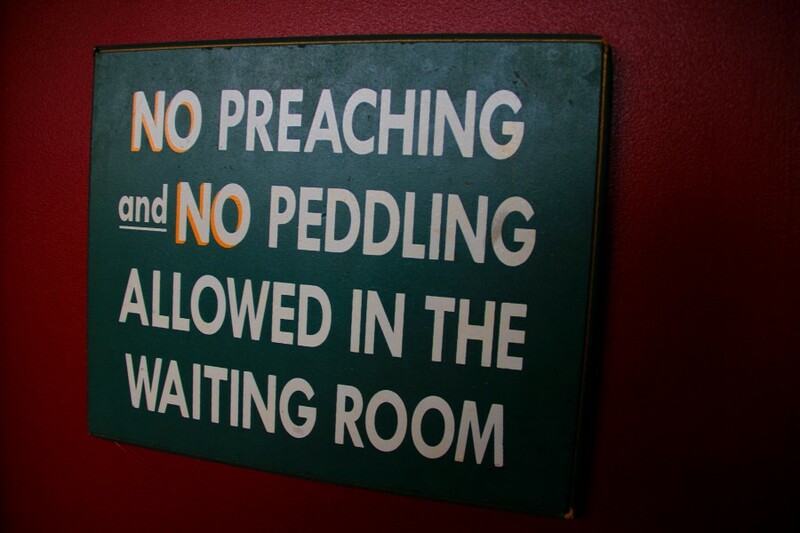 The bar and actual dining car are filled with amusing and novel signs. 5. 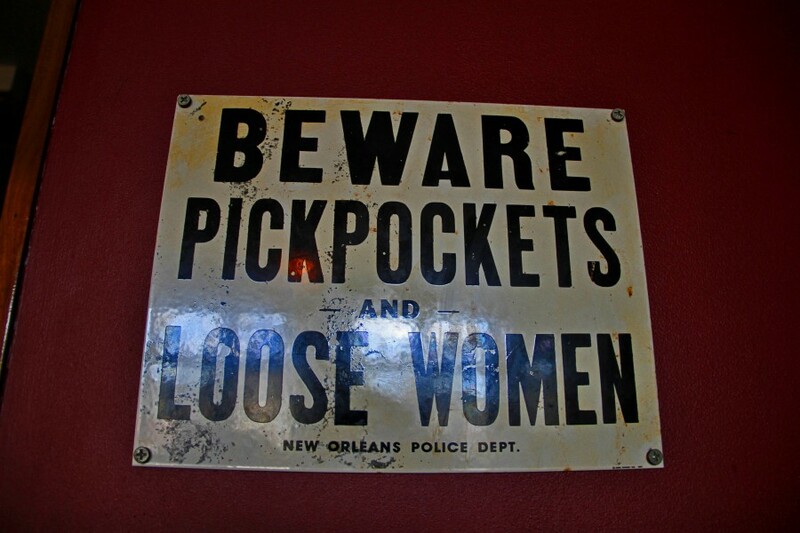 Men, this is excellent advice! 6. 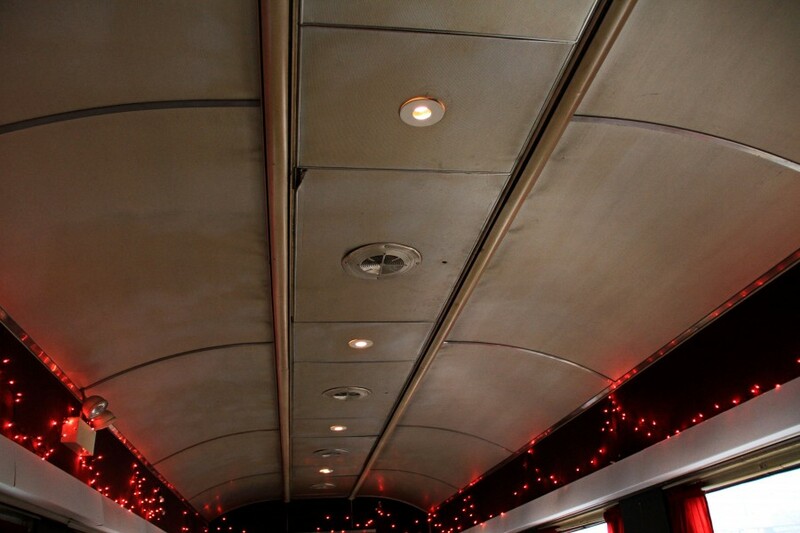 The bar area is small and leads to the entrance of the dining car. Notice the sign "Smoking is Not Permitted on Trains." Of course anyone who has traveled to America knows smoking is prohibited almost everywhere (restaurants, stores, stadiums, concert halls, even some public parks, etc.). It's one thing I really hated in Russia, going to restaurants or bars and being surrounded by a haze of cigarette smoke. If people want to smoke, it's their choice. However, I prefer to not have it blown in my face at every second. 7. Now we enter maximum coolness! 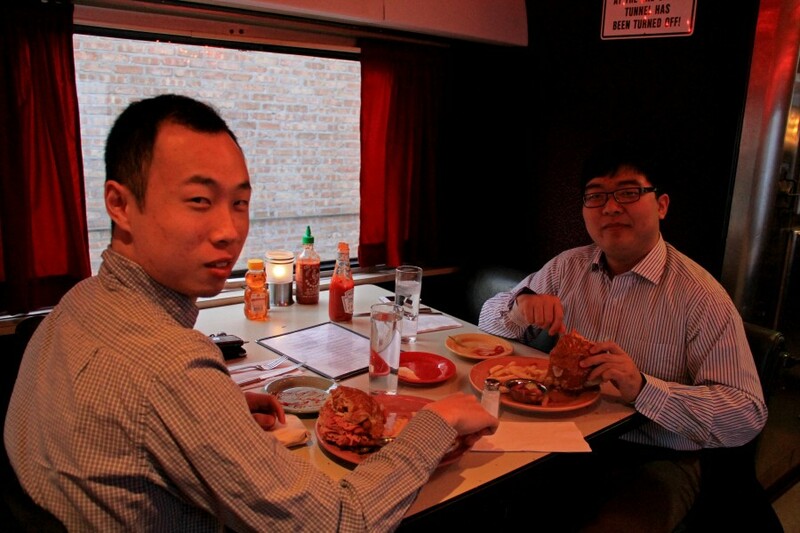 The dining car itself is very, very cramped. Six tables with four seats on each side. 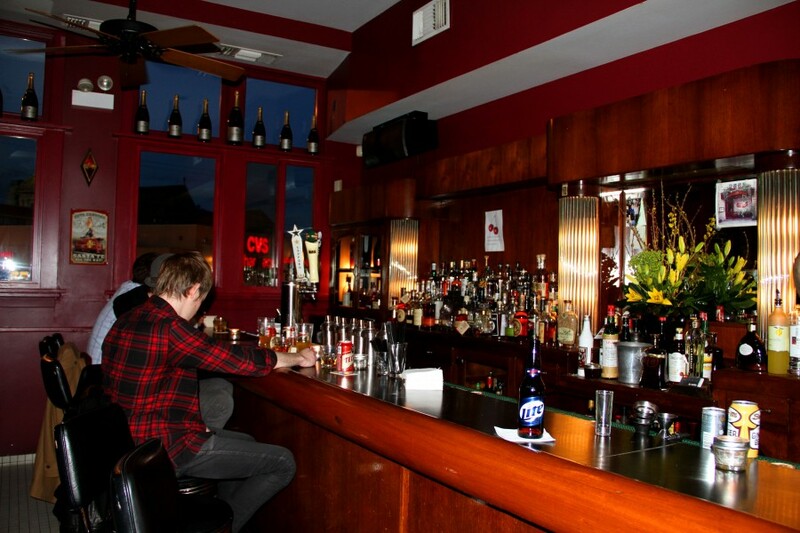 The diner opens at 6 p.m. daily and I arrived shortly thereafter on a Saturday evening. Only three other tables occupied at the time. 8. The dining area has photos of different pinup girls from the 1950s. I apologize for the poor quality of the photos but it was dark and cramped in the dining area. Not ideal shooting conditions for a beginner like me. 9. More clever and interesting signs. 10. The whole dining car was filled up within fifteen minutes after my arrival. The diner is open until 2 a.m. on most nights. 12. Server's head almost touches the top and there's not much room to maneuver around and carry dishes, drinks, etc. 13. The diner has a huge drink menu and I understand many people come here simply to enjoy cocktails and not eat. They looked very good but I never drink alcohol when traveling alone. Probably not the smartest thing for a solo female traveler to do. I always make sure I can get back to my lodging area on my own. 14. Most diners have large menus with every type of food imaginable (Greek, American, Chinese). This menu was pretty small and the prices more expensive than typical American diners. Average meal was $18. I had some type of chicken dish with rice and carrots. Before the meal guests are served complimentary sweet cornbread. It was delicious! Common practice in most American restaurants to bring free bread or biscuits before the main meal. 15. The table beside me ordered this huge slab of meat. I think it was pork spare ribs but I'm not sure. I'm not a big meat eater. If you like meat this photo probably looks heavenly. 16. These young guys were sitting across from me. Very friendly and both were eating the signature sandwich of the diner. It's called the "Three Little Pigs" - a pork lover's dream. It contains smoked ham, a fried pork chop, two strips of bacon, cheese and topped with two fried eggs. Ohhh, sick just writing this. :))) But the sandwich is famous and was featured on a popular travel show - Anthony Bourdain's "No Reservations" (video below). Here you can also see the owner. Unfortunately, he wasn't there when I visited. 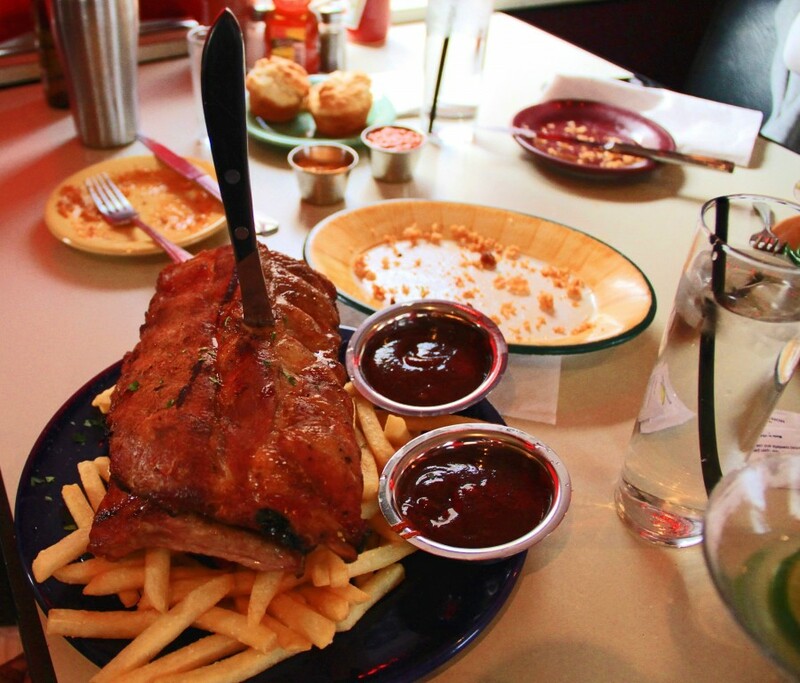 There's something special about American diners that can never be explained in words. I visited "The Starlite Diner" in Moscow, with its hookah and young crowds. Sure it looks like an American diner on the inside and outside, with a similar menu. The facade is there but the true spirit of an American diner cannot be manufactured. It must be experienced. I like it, a very unique experience. So do you think I shouldn't miss the train diner in Chicago? Taking a train in Russia is a very proper way to travel. It does not exhaust you and is not nearly as dangerous as the car, and you see a lot of the country and experience the proper travel feeling. I have already told you that this is the best way to go from Moscow to St. Petersburg, but people used to take it for much longer distances up to a few days of travel, especially in Siberia. Even within one night you can reach most cities in the European part of Russia from Moscow. You sleep in the train couchette, arrive next morning and have a full day of exploration. If you are a social person you can meet very different people with various personal stories in the train, and people are always a lot more open in a train journey than in a bus or in a plane. I'm not sure how long you'll be in Chicago. The area where this diner is located is kind of out of the way and there's not much to do in the neighborhood. Just a lot of restaurants and bars. It's a really simple, casual place. So if you're into fine dining you might not like it. But I really enjoyed it. Something different, which I'm always searching out. There are so many wonderful things in Chicago you will not be bored. If you like architecture, you should take an architectural river cruise. I did it last summer and it was great. The best one is through the Chicago Architecture Foundation. The guides are really knowledgeable and passionate on the topic. I don't know much about architecture but learned a lot. Navy Pier, Millennium Park, John Hancock Center - all worth a visit. And there's tons of great food in the city. This time I ate at a place called "Lou Mitchell's." It's a huge diner with a large menu. It's famous and there's usually a wait (sometimes wrapping around the block), but the food is excellent and the line moves fast. Great breakfast location - free doughnut holes! :)) It's closer to city center. First, my condolence with a horrible tragedy that had happened in Boston. Facking terorists from the East. We got the same problem with this sort of unhuman beings. God bless victims souls. In Moscow there is very interesting restrant called Streetcar desire "Annushka". It`s old fashion streetcar that has a route in very center of the city. You can have have meal, injoy the music and sigtseengs. It starts from Чистые пруды metro statian. Cool, thanks for the restaurant recommendation. The Boston scene is a tragedy. Who knows if it was a foreign terrorist or American extremist. It doesn't even matter because people will constantly spit on our freedom and way of life. It's the worst of times and yet in situations like this you also see the best in people. Runners from all over the world participate in this marathon and many were stranded/locked out of their hotels after the bombings. Locals rallied behind them, creating websites offering free accommodations in their homes, food, etc. It's what makes America great - the charitable and kind people. Yes, the owner is a very creative man! Thanks Peter! You would definitely like this place. 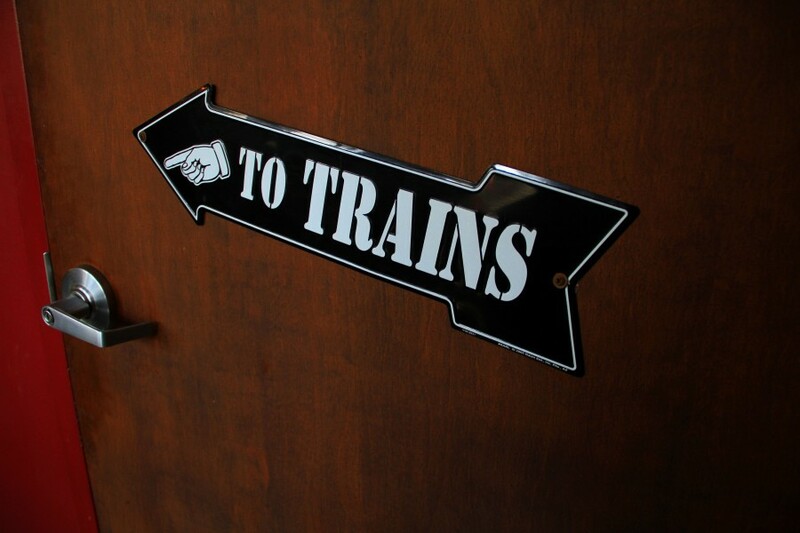 i don't like travelling by train at all, but i would go by this one)) very interesting. and it seems to be a very kind athmosphere there. the spirit of an American diner. It's only a diner, the train car is not operational. The spirit there is very relaxed and fun! What does this term "Doshirak" mean? Yes, most people who comment on and read my posts are Russian. You're right, American food portions are large compared to most countries. But I think this trend is becoming global. The portions in Russia seemed big to me as well (though not as large as America). Starlite Diner in Moscow has some nice american-style milk coctails. Very tasty. But generally speaking american food is one of downsides of the country for me. I spent some time in the US and finding the proper food was like an everyday problem. These dishes with a lot of grill, salt, sauces and french fries are nightmare. If eaten they put me in sort of knock-out state for several hours until washed out from the body with the help of gallons of tea. Sure, milkshakes are good no matter the country. :)) I never know what foreigners consider "American" food to be? We have every type of cuisine available here. I guess hamburgers, steaks and potatoes are thought of as "American." But you can always find healthy alternatives in most restaurants (grilled chicken or fish, etc.). I like Mexican food but didn't see many Mexican restaurants in Moscow or St. Petersburg. But it seemed like Chinese and sushi were on every block. Right, mexican restaurants are rare in Russia, do not know why. I consider "american" food what I saw in "Applebee" and some local diners there. _Quality_ steaks are very good in the US, especialy with big potato and A1 sauce, but they are not cheap and much meat every day can easily rise up blood acidity which feels like dirt in muscles.